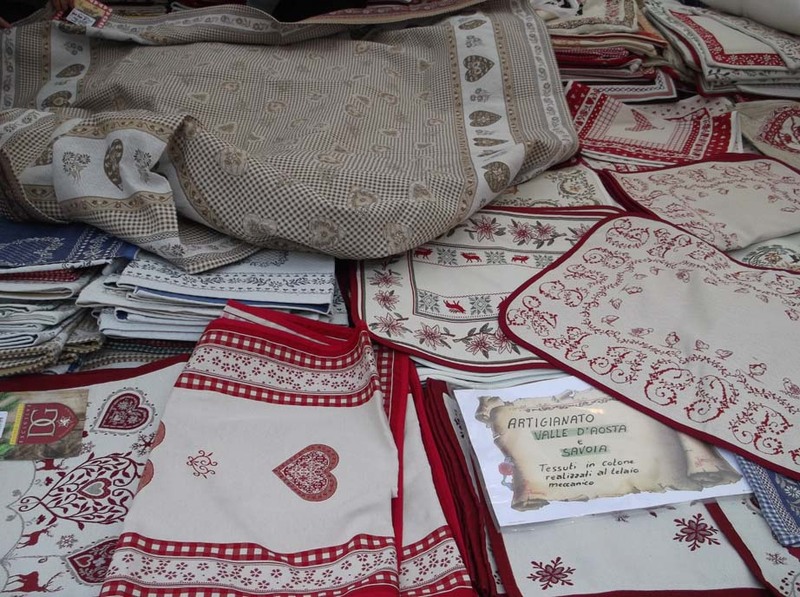 There were some really beautiful things on our recent trip to Italy so I thought I would do a post just about all the pretty textiles. 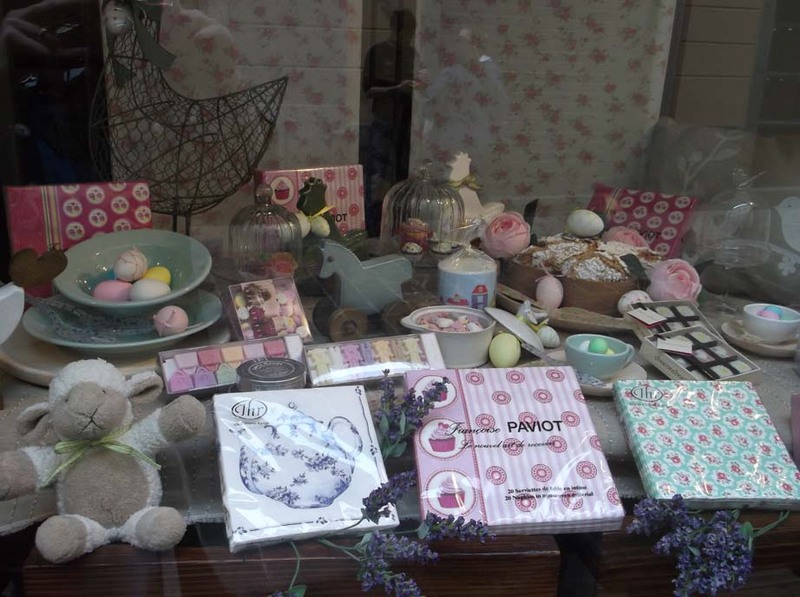 First of all some lace and stitched household items in a little shop in the very pretty village of Bellagio.Some of this lace comes from Venice, from the island of Burano. 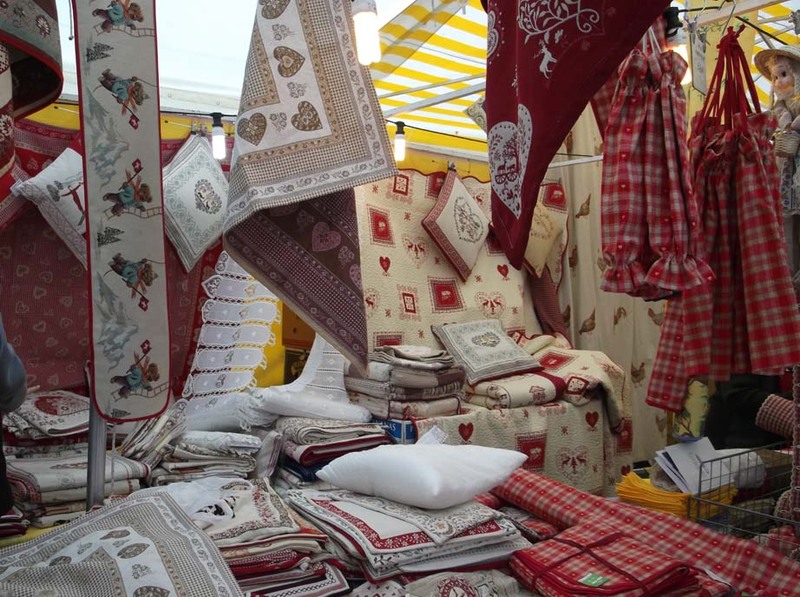 Then we went to the town of Como which had a wonderful market and there was this stall with so many beautiful Swiss textiles, the Italian Lakes are very near the Swiss border and there was all sorts of beautiful table linen and little curtains for hanging at your chalet window. I spent ages trying to decide what to buy (Jake got very bored at this point!) 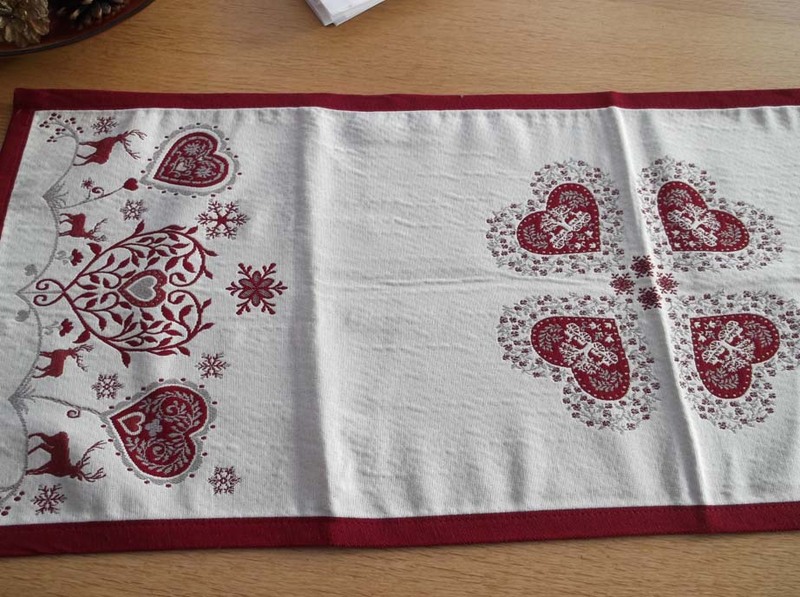 but ended up getting this beautiful table runner which I will use at Xmas. 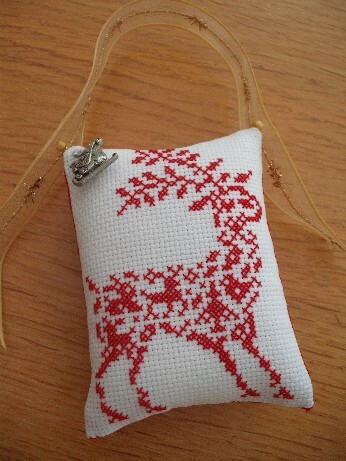 I have a number of stitched red and white Xmas ornies with similar themes such as this one below so I thought the runner would look good on the lounge coffee table. We visited a few (!) 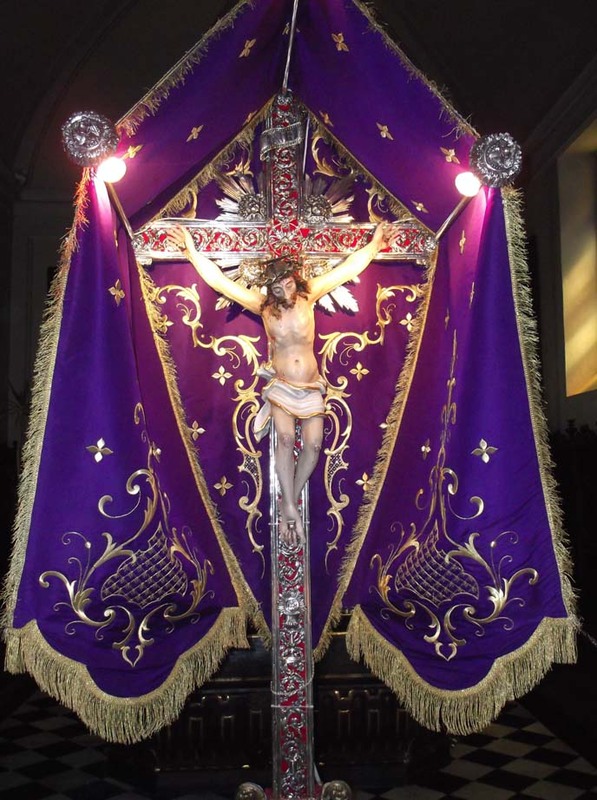 churches during the week and since it was Easter there were some icons on display including this one from a church in Mennagio with some gorgeous goldwork. 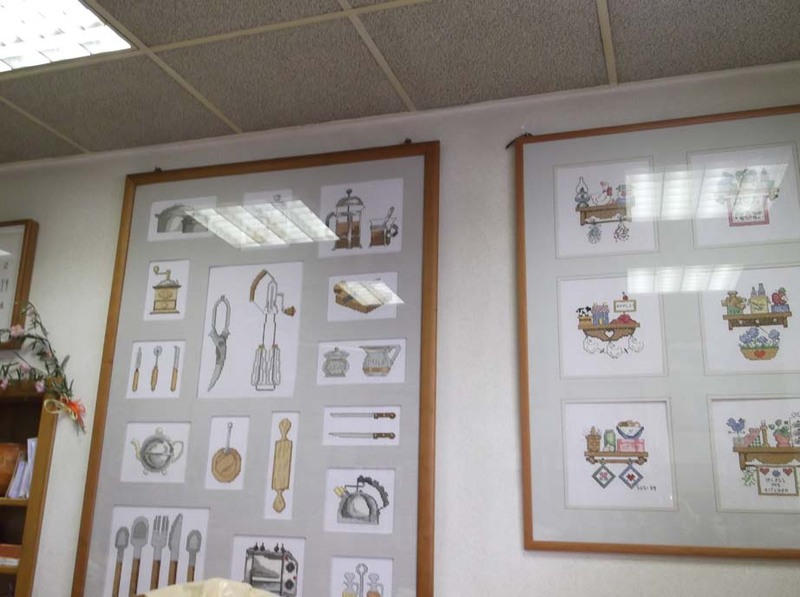 We also bought some lovely pasta, polenta and spices from a little deli in the same village – on the walls there were these large-scale kitchen cross stitch motifs which were beautifully framed. Apologies that the picture is not very good, the light and the glare made it difficult to take nice pics but there were about 10 of these collections in the shop which must have taken such a long time. 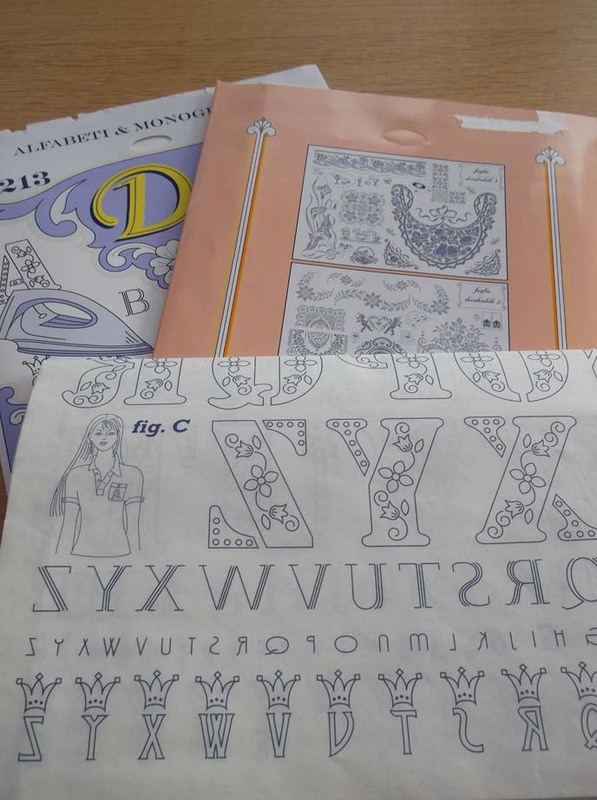 On our day trip to Milan I came across a fab shop full of cross stitch and embroidery supplies and bought 3 sets of embroidery transfers, there are lots of different designs here including about 20 alphabets and very good value at only 3 euros per pack. 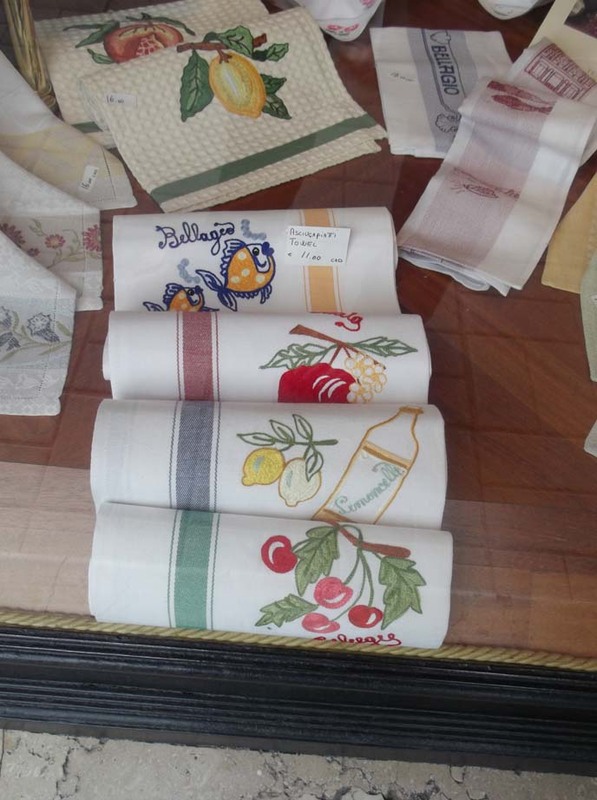 And from a little gift shop in Como not textiles but this cute display of table napkins which are another little addiction of mine, I was very good and didn’t buy any (have a few in stock already) but aren’t they so cute! I do hope you are having a lovely weekend. I was supposed to be at a re-enactment event this weekend but have got a poorly back again so instead I am having a very nice relaxing weekend stitching and knitting and watching DVDs. Very blissful and the weather is sunny which is so nice to see after all our torrential rain. 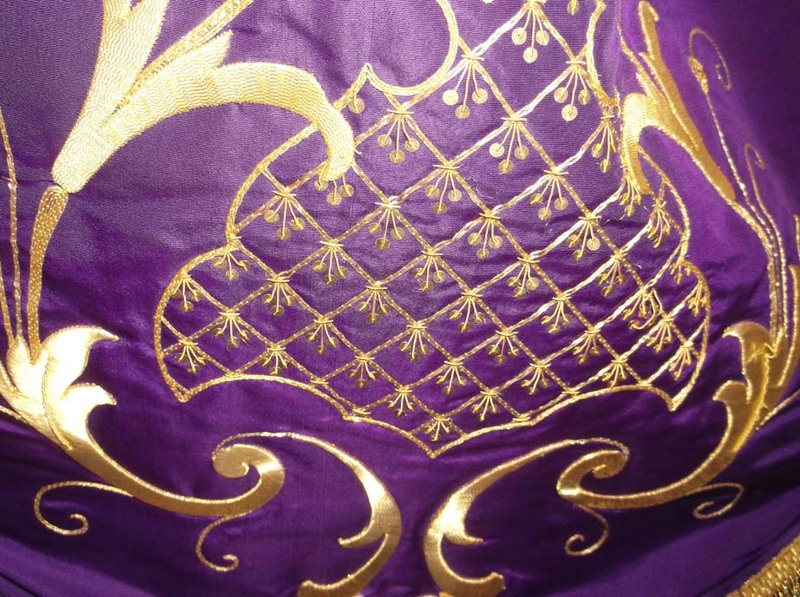 I am currently working on the large cross stitch of the Chinese Emperor but am going to start another Spring ornie for me in the meantime as that is a long haul project and I want a quick finish inbetween. Thanks for visiting and do have a very good week ahead. 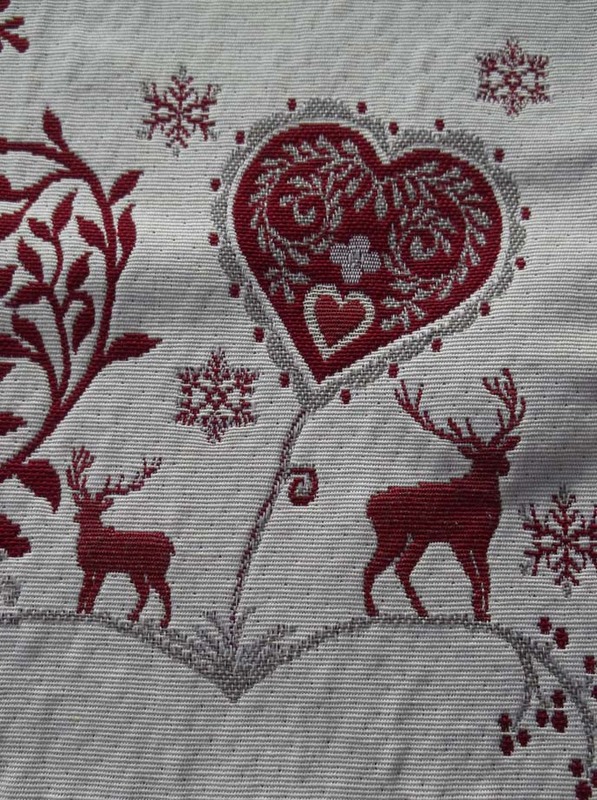 Wow — it looks like you found some beautiful textiles. Those iron on transfers look really fun. I hope you’re feeling better after a relaxing weekend!